Feeling confident, enjoying your life and being successful don't happen by accident. Would knowing how to stop negative thinking be helpful to you? 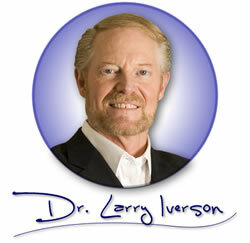 Do you ever puzzle over the best ways to change old behavior patterns and stop feeling down? Have you ever wondered why some people have so much success, while others struggle and struggle but never quite get there? Starting today you can begin building a powerful mindset that takes you ever closer to the type of life you want. 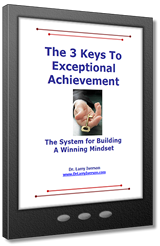 Apply these life enhancing strategies from Dr. Larry Iverson, as he presents you with "The 3 Keys to Exceptional Achievement".